September | 2014 | Vice Mayor Roland F. Winters Jr. This summer, Fire Station 304 moved into a new 1,500 square-foot temporary, modular, station at the intersection of 163rd Avenue and Happy Valley Road. 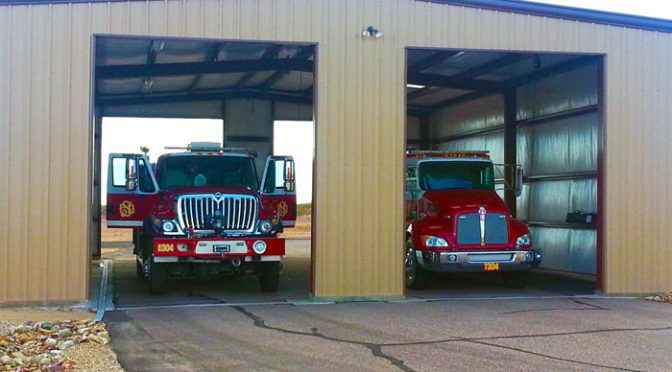 Accompanying the new modular station is a new garage for the storage of the fire apparatus and equipment. Although these improvements are not the permanent solution, these temporary improvements are a significant upgrade for the Fire-Medical Department. The council voted unanimously for the upgraded facility last year. The new station includes a living room, kitchen, training room, four dorms and an office. The timing of the permanent fire station is dependent upon the growth patterns in the immediate region. When the time comes to construct the permanent facility, the temporary station is situated on the 3-acre site in a manner that will not disturb the current Fire-Medical service operation. A new arts space moved into the Surprise City Center this summer. 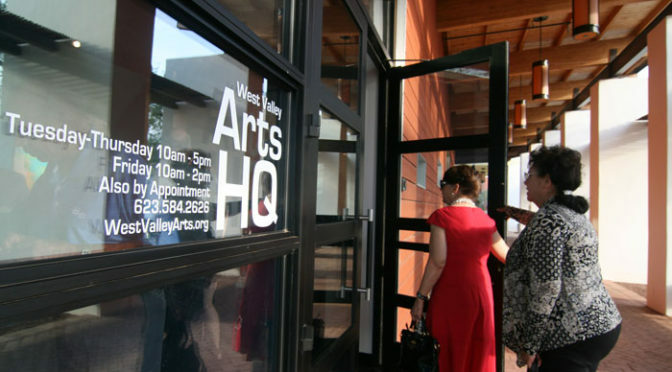 Arts HQ offers 2,500 square feet of gallery space, plus an outdoor courtyard that’s connected by a covered breezeway. I joined Mayor Wolcott and several other Council Members at the grand opening and ribbon cutting. It was a great success, with hundreds of art enthusiasts in attendance. It’s clear that developing the arts in Surprise is something that the community wants and building our city into an arts hot spot is something I am proud to support. 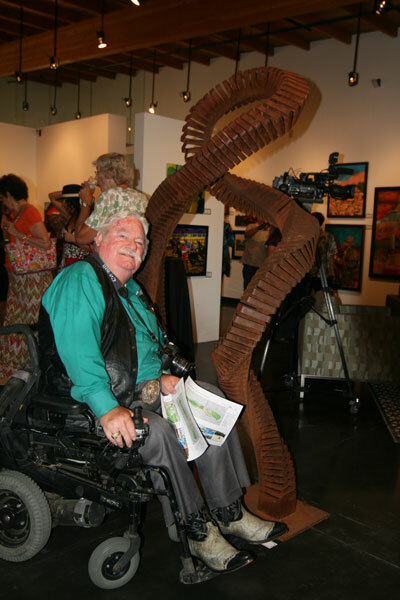 Check out http://www.westvalleyarts.org for more information on arts in the West Valley. I think some of the best conversations are shared over casual interaction. That’s why I decided to host monthly chats that are open to anyone in my district. It’s a time for you to stop by let me know what questions or concerns you have about your district or the city. These conversations help me be a better representative for you, so take a look at the dates of my upcoming meetings and plan to stop by and say hi. Every 2nd Friday; 7-8:30pm The Retreat at Arizona Traditions 18250 W. Weatherby Dr. Surprise, AZ 85374 Map / Directions At gate, dial 0000 to speak with guard. I think some of the best conversations are shared over casual interaction. That’s why I decided to host monthly coffee chats that are open to anyone in my district. It’s a time for you to stop by let me know what questions or concerns you have about your district or the city. These conversations help me be a better representative for you, so take a look at the dates of my upcoming meetings and plan to stop by and say hi. Hello to all of my District 1 fellow residents! I hope this month’s newsletter finds you well! I have great news to share with those of you who are planning to attend my meeting on Friday, September 19 at 7 pm in the Retreat Community Center at AZ Traditions. I am hoping that all of the residents in District 1 will attend and I will supply the cookies! August has been a very busy time for me even though we’re in the middle of summer. We had our City Council Work Session and City Council Meeting on Tuesday evening, August 5. On Monday, August 11, my wife and I had a tour of Benevilla. Our host was Michelle Dionisio, President and CEO of this wonderful organization! This not-for-profit organization does extraordinary work for the residents of Surprise. Benevilla provides a continuum of care that promotes independence while instilling a sense of dignity and self-empowerment, regardless of the ability to pay. The programs offered addresses the ongoing and changing needs of caregivers and families. However, they also bring the youth and elderly together on a daily basis. Benevilla has established an intergenerational program opportunity for the growing West Valley, including Wirtzie’s Preschool and Child Care as well as Art’s Center for All Ages which provides children from 1 to 5 years old the unique opportunity to share space and experiences with the elderly. We are very lucky to have these resources in our City! Mayor Sharon Wolcott hosted her third annual Mayor’s Bowling Challenge at Uptown Alley on Friday, August 15. Most of the City Council and many Mayors from the valley were in attendance. Mayor Wolcott’s team came in first place, and the win was credited to the bowling skills of Phoenix Mayor Greg Stanton. Believe it or not, I had 6 strikes in a row. Just kidding! Many of our City employees joined the fun and a good time was had by all. It is one of the few opportunities we can take advantage of to get together in a casual atmosphere to relax and network. City Attorney Misty Leslie, Fire Chief Tom Abbott, Police Chief Michael Frazier and Mayor Wolcott at the 3rd Annual Mayor’s Bowling Challenge. ADOT hosted a celebration and ribbon cutting in honor of the opening of the I-10 and Loop 303 interchange on Saturday, August 16. I was able to attend this great event and I was also able to speak to Governor Brewer, albeit briefly. The Governor and Mayor Georgia Lord of Goodyear cut the ribbon. Gov. 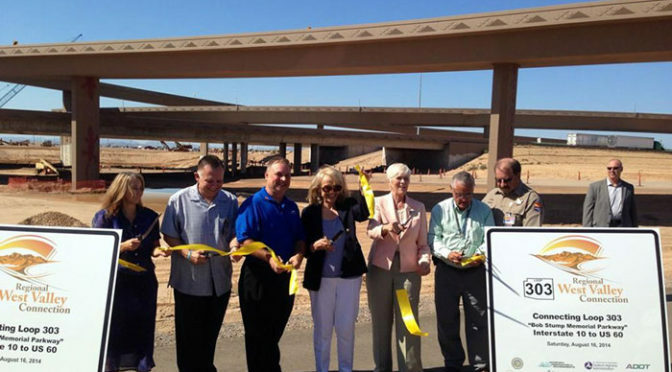 Jan Brewer cutting the ribbon at the Loop 303/I-10 Interchange celebration. Our City Council meeting was changed from Tuesday, August 19 to Monday, August 18 to accommodate the Arizona League of Cities Conference which was held at the Sheraton Downtown Hotel in Phoenix beginning Tuesday, August 19 through Friday, August 22. Special recognition was given to two Surprise youth whose actions helped Surprise Police catch a burglary suspect. A heartfelt thank you to Rosalio Hernandez Garcia and Esperansa Hernandez Garcia for your commendable efforts! Two youths recognized for helping police catch a burglary suspect. This Conference is a fantastic event and of course, with it being my first time attending, I was able to learn a great deal of valuable information. There were many breakout sessions to discuss various issues facing Arizona. Amongst some of the sessions I attended included the discussions of water problems in Arizona, the cooperation between Arizona and Mexico to agree on economic exchange in the US and the developing rural areas. I chose to attend developing rural areas since District 1 has so much land within it to be developed. The evening of Thursday, August 21, was very eventful as every city and town had the opportunity to display a booth at the “Showcase of Cities & Towns”. Surprise had the best booth which included mariachis. Councilwoman Villanueva even sang a song! Councilwoman Villanueva singing with the Mariachis at the city’s booth during the 2014 League of Arizona Cities and Town Conference. Vice Mayor Hall, Councilmember Winters, Assistant to the Council Tas and City Manager Wingenroth pose for a photo at the conference. Due to the Conference, I was not physically in Surprise on Tuesday, August 19, when the City had torrential downpours and parts my District were washed away, especially in the northeastern area. We were able to constantly communicate with our wonderful City Manager, Bob Wingenroth, who quickly assessed the situation and worked with the necessary departments to assist residents and remove the danger from the areas hit hardest. Well, I am off to South Dakota for a relay and business meeting for H.T.C. as I am the current President. I will be back in two weeks; however, you can still contact me via email at roland.winters@surpriseaz.gov or phone. I hope to see you at my meeting on September 18. Be good to yourself and be good to your neighbors! Councilman Roland F. Winters Jr.